Jamie Oliver’s classism: The Naked Chef is not the right person to teach the poor how to eat well. Jamie Oliver is not a culinary savior for poor people. 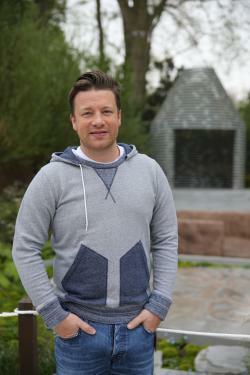 This week, Jamie Oliver is promoting a new television show called Jamie’s Money Saving Meals and a new cookbook called Save With Jamie in the U.K. You might think this would be a cakewalk for him: After all, the 38-year-old celebrity chef has published 17 previous cookbooks and hosted 25 previous TV shows and specials, many of which have focused on eating well on a budget. But something went terribly wrong during this week’s publicity blitz: Oliver suddenly began insulting the very people he was trying to market his new products to, and once he started saying condescending things he couldn’t stop. I meet people who say, “You don’t understand what it’s like.” I just want to hug them and teleport them to the Sicilian street cleaner who has 25 mussels, 10 cherry tomatoes, and a packet of spaghetti for 60 pence, and knocks out the most amazing pasta. You go to Italy or Spain and they eat well on not much money. We’ve missed out on that in Britain, somehow. Oliver seemed to be referring to an antiquated, romanticized notion of Italian dietary habits: A study of young Italians’ eating habits in next month’s edition of the academic journal Appetite notes “a decline … among the young ‘traditionals’ who stand out for their high consumptions of fruit, vegetables and fish,” and a couple of years ago NPR explained Italians’ abandonment of traditional fare by noting wryly that these days, “you have to be wealthier to eat like a poor Mediterranean peasant.” In any case, British commentators seized not on Oliver’s outdated view of Italian eating but on his implication that Britain’s poor are too stupid, lazy, or hedonistic to value healthy eating over entertainment. Rather than admit that perhaps shooting a few reality shows in poor communities did not make him an expert on habitually living without enough money, Oliver piled on by insulting young Britons’ work ethic. In an interview with Good Housekeeping, Oliver ridiculed young Brits for whining about a 48-hour workweek, called them “wet behind the ears,” and compared them unfavorably to migrant workers, saying “I think our European immigrant friends are much stronger, much tougher.” (So much for convincing young people to Save With Jamie.) Critics called Oliver’s generalizations “insulting,” “inaccurate,” and “disgusting,” and blasted him for endorsing exploitative working conditions for poor immigrants. And Oliver’s attempt at damage control—donating a copy of his new cookbook to every library in the country—has so far not stemmed the tide of indignation. Oliver’s recent blunders are as baffling as they are instructive. The only possible explanation I can think of for Oliver’s recent faux pas is that he forgot which role he was supposed to be playing this week. Oliver has parlayed his early fame as the “Naked Chef” into a quest to be all things to all people: cookbook author, magazine publisher, TV star, prepared-foods magnate, supermarket spokesperson, social commentator. Stretched too thin, Oliver accidentally voiced the supercilious attitude he assumes all well-to-do people share with him, instead of pretending to sympathize with the poor, as he was supposed to do to promote his new book and series. But his gaffes are evidence that Oliver is certainly not the right person to try to teach working-class people good eating habits, nor, I would argue, is anyone who doesn’t actually have any personal experience of poverty. Upper-middle-class foodies should certainly work toward changing the food system and improving access to healthy foods in impoverished neighborhoods. But swooping in with television cameras to save the day—as Oliver has—is not the way to do it. They ought to take a lesson from those who know what it’s like to live without much money—people like Andreou, The American Way of Eating author (and Slate contributor) Tracie McMillan, and urban farming pioneer Will Allen, the son of sharecroppers. All three write with the kind of detailed understanding and real sympathy so conspicuously lacking in Oliver’s comments. One of the few British newspapers to come to Jamie Oliver’s defense this week was the Independent, whose columnist Grace Dent argued that Oliver is entitled to his arrogant opinions about poor people. Dent is right—Oliver is entitled to his opinions. But he’s not entitled to the position of culinary hero for a population he disdains.